Plunger-Type Fuel Pump. It is similar to that of a piston pump, but the high-pressure seal is stationary while the smooth cylindrical plunger slides through the seal. These pumps typically run at a higher pressure than diaphragm type pumps. China-Lutong Parts Plant is located in the beautiful Chinese Putian. 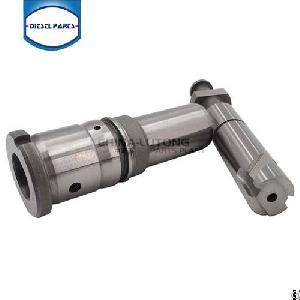 It has a 26 years history in manufacturing fuel injection parts. We specialize in developing and producing fuel injection pumps, fuel injectors, precision parts of fuel systems, such as nozzles, plungers, delivery valves, rotor heads used on passenger buses, trucks, tractors, agricultural and earthmoving machines, stationary and marine engines.